Dr. Adam Kruger is originally from Oelwein and graduated from Oelwein High School. Dr. Adam attended the University of Northern Iowa where he earned his BA in Biology and a minor in Chemistry. He then continued his education at the University of Iowa College of Dentistry where he received his Doctorate in Dental Science. While at the College of Dentistry, Dr. Adam earned the Keith E. Thayer Fixed Prosthodontics Award, the Dr. Ronald Lofgren Scholarship and the Delta Dental of Iowa Foundation Treatment Planning and Documentation Award. 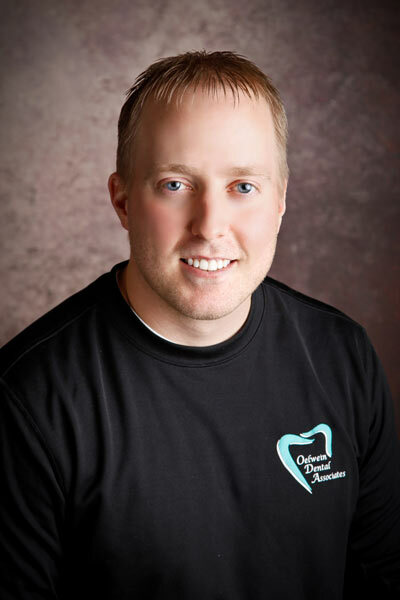 In June of 2012, Adam moved back to Oelwein and joined Oelwein Dental Associates. 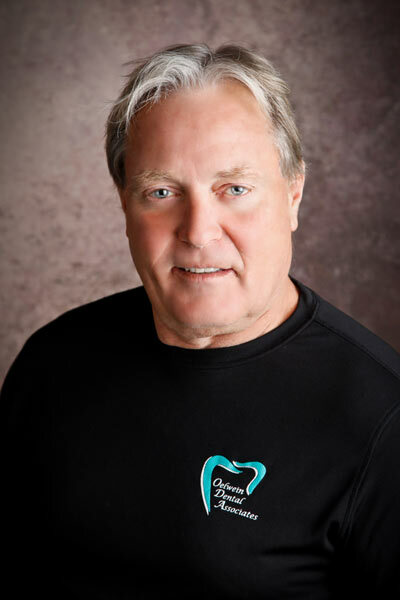 Dr. Adam is a general dentist who focuses on overall oral health, preventative dentistry for families, orthodontics (braces), implants and bone grafting. In 2014 Dr. Adam was granted his fellowship award from the International Congress of Oral Implantologists after attending the Misch International Implant Institute. He is dedicated to attending continuing education courses and staying up-to-date on the technology curve. He periodically gives lectures/presentations on technology and provides support to other dentists with techniques and information about implants and bone grafting. Dr. Adam is married, has two children and a dog. 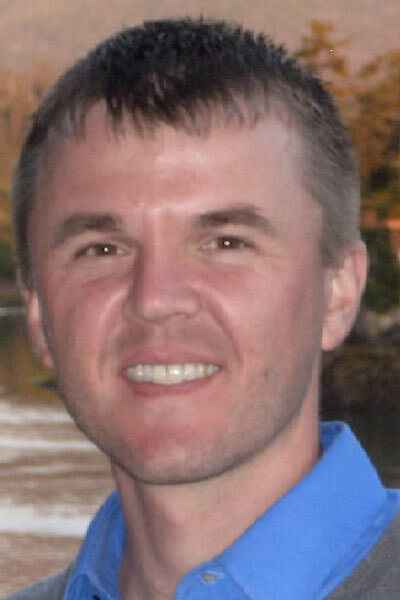 He enjoys helping other dentists, spending time with his family, golfing, being outdoors and Hawkeye sports. After growing up on a farm in northwest Iowa, Dr. Al attended Iowa State University and graduated with a degree in mathematics. He spent 3 years teaching, coaching, and working on a Master’s degree before going back to the University of Iowa to attend dental school. Upon graduation, he moved to Oelwein and has practiced in Oelwein since 1979. He prides himself on staying up-to-date on technology and sharing that knowledge with staff and patients. “I am proud to be a part of the greatest profession in the world.” In his spare time, Al spends time planting trees and improving timber. He also golfs, fishes, and hunts whitetail deer and turkeys. Dr. Abbey Ambroson grew up in Ankeny, Iowa. She received her Bachelor of Arts degree from the University of Iowa in History. 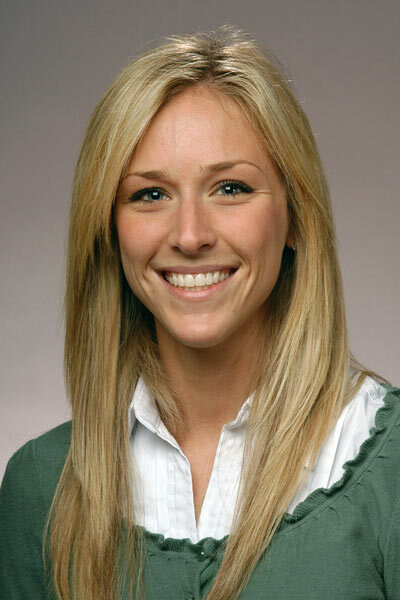 Dr. Abbey continued her education at the University of Iowa College of Dentistry where she received her Doctorate of Dental Surgery (DDS) in 2012. In dental school, Dr. Abbey found a passion working with adult patients with complex medical needs. She was also very involved in the student research program. Upon graduation, Dr. Abbey went on to complete a Fellowship in Geriatrics and Special Care. After completion of her Fellowship program, Dr. Abbey practiced general dentistry in Clarinda, Iowa, before moving to West Union. Dr. Abbey is a general dentist who focuses on overall oral health and preventive dentistry for all ages. She practices dentistry with her husband, Dr. Clint. They have two daughters, Vivian and Emery, with a son on the way. In her free time, Dr. Abbey enjoys running, reading and spending time with family and friends. Dr. Clint Ambroson grew up in Forest City, Iowa. He received his Bachelor of Arts degree from Luther College and majored in Biology. Dr. Clint then continued his education at the University of Iowa College of Dentistry where he received his Doctorate in Dental Surgery (DDS). In dental school, Dr. Clint was an active member and treasurer of the Delta Sigma Delta dental fraternity and in his senior year recipient of the Award for Excellence in Dentistry for the Elderly. Dr. Clint was also chosen by his professors at Iowa to become a member of the Omicron Kappa Upsilon National Dental Honor Society, an achievement given to select students who represent the highest achievements in dental scholarship, professionalism, and ethics. After dental school, Dr. Clint practiced general dentistry in Clarinda, Iowa for 3 years before moving to West Union to be closer to his family in northern Iowa. Dr. Clint focuses on all aspects of general dentistry, enjoying Oral Surgery, Endodontics, as well as Fixed and Removable Prosthodontics. Dr. Clint especially enjoys being a provider of Invisalign to improve smiles and straighten people’s teeth. Dr. Clint practices dentistry with his wife, Dr. Abbey, and enjoys spending time with his daughters, Vivian and Emery. In his spare time, Dr. Clint can be found on the golf course or out hunting and fishing. Dr. Clint’s favorite part of being a dentist is interacting with and developing relationships with his patients. Fill out our contact form below with any questions or concerns, or give us a call. Ready to come in for dental work at our Oelwein or West Union office? Request an appointment today!